How competition leads to comparison. This was supposed to have posted at my usual time this morning. Checked to make sure it posted to learn it hadn’t. Everything was scheduled accurately so don’t know what happened. So rather than wait till tomorrow, I’m going to publish tonight. Why competition doesn’t always stop with the competition. I’m too competitive. Before you think I’m awful, check out your own attitude. I have a hunch you are more competitive than you think. 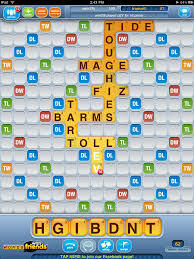 I like playing “Words with Friends”. I really like the game, but I realized I don’t always enjoy it because I’m so focused on winning. That has to change. Besides, what’s the point of playing if it can’t also be fun? I used to golf but I quit because I couldn’t stand how most golfers take it way too seriously. I’ve seen grown men throw their clubs no less. And heaven forbid if you don’t golf fast enough. So I made a decision a long time ago to enjoy myself more. Now it’s o.k. if I lose at “Words With Friends”. I’m learning lots of new words. And I at least did have the honor of beating my husband for the first time. Never had he lost a game to anyone. I feel so cerebral now. I’d never connected depression with competition until I watched my own reaction when I lost at these games. When we can’t “play” because we have to win, we set ourselves up for anger and anxiety. We spiral down to, “I’m not smart. I’m not good at anything. I’m a loser”. And inevitably, competition leads to comparison, and people who are prone to depression don’t handle comparisons well. They usually feel they come up short in the process. Comparing ourselves to others is like poison to someone who battles depression. It was for me. Even though I haven’t experienced real depression now for many years, I still watch out for this. Even with my mom’s fast approaching demise, I find myself comparing myself to others who’ve traveled this same path. Am I doing as much as they did? Did they do a better job with their loved one? Am I missing something? And if you think about it, even this is a form competition. I think women are especially guilty of this. And now, because of social media, especially Pinterest and Facebook, we are now even competing to have the best “life”. I’m seldom on Facebook for this very reason. Even tho’ I’m somewhat naive, as I wrote about yesterday, I’m smart enough to know most people only post a “snippet” of their life. When we were more concerned about living our own lives and making them better, we’ll be less impressed by other people and their claims. Besides, most people whose lives seem to be working have worked at it. For example, I have a great marriage. That’s not a brag. It happens to be true. But no one should compare their marriage to mine because my relationship with my husband didn’t just “happen”. It was the result of hard work and determination. We have a wonderful life. Again, it didn’t just happen. We’ve worked hard to make it so. When we compare ourselves to others we often diminish them. It’s like we think if we just envy them enough our own lives will change, without the hard work. That’s an insult to them. It implies their wonderful life just “happened”. But we do it all the time. I do, too. I look at the accomplishments of others, especially bloggers, and envy their success. And yet there are others who envy mine. When does the cycle end? Instead of competing and comparing, why not just focus on our lives? The next time you feel competitive, watch how it escalate to a comparison. Because it usually does. One great thing about growing older is finding a certain equilibrium, a certain satisfaction in our accomplishments and our life without feeling the need to compete with others. Live your own life today. Quit trying to live yourself in the shadow of someone else’s’. Your life might be bumpy now. Mine is, too. But there truly is joy in even the worst of times.